It has been a week since we started the NANOWRIMO challenge. Yesterday was a Double Up Day. Our normal goal for the day is 1667 so to double up, I had to write at least 3334 words yesterday. I really worked double time yesterday. I was able to put in 3425 words ending my total word count at 15486. I’m moving right along. 8. The tip for today is “Be Consistent”. Just like what we are doing this month, we are consistently writing every day. Most beginners have an ambitious goal of becoming famous and earning tons of money. Nothing is wrong with that except when reality sets in, they realize it is not that easy. Then they get discouraged and dropped out. That is not the way to go. You have to keep on going in spite of the hurdles along the way. Eventually people will discover your writing. There are some authors that hit the jackpot with their first book. I’m happy for them but it is a pity because they have no idea how they got there. Learning your craft as you go along your writing journey gives you more insights on how the writing process work and give you more incentives to improve your craft and be consistent in your effort. Here is a book by Nelson DeMille about the fabled Gold Coast of Long Island regarding a Wall Street lawyer and his Mafia neighbor. 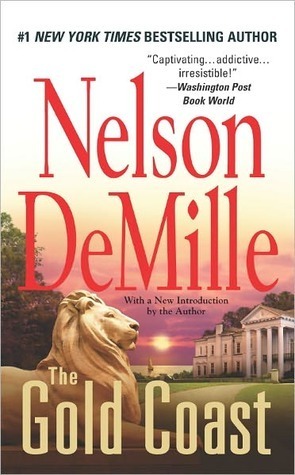 The Gold Coast is Nelson DeMille’s captivating story of friendship and seduction, love and betrayal. After reading the Gold Coast, one was lured to read the next book which is the Gate House, another Gold Coast story. Nelson deMille is consistent in his writing, always having a work in progress to keep his fans happy and anticipating the next book.